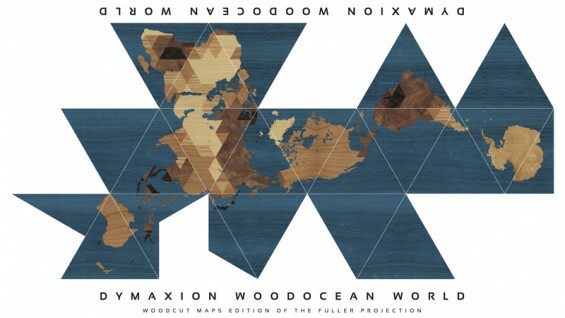 The Buckminster Fuller Institute (BFI) is proud to partner with The Irwin S. Chanin School of Architecture of The Cooper Union and The Cooper Union Institute for Sustainable Design to exhibit DYMAX REDUX, a crowdsourcing design competition to highlight today's graphic designers, visual artists and citizen cartographers own interpretation of Buckminster Fuller's Dymaxion Map. Originally published 70 years ago, Fuller's map was a cartographic breakthrough showing one island in one ocean; an iconic design that has inspired generations since. 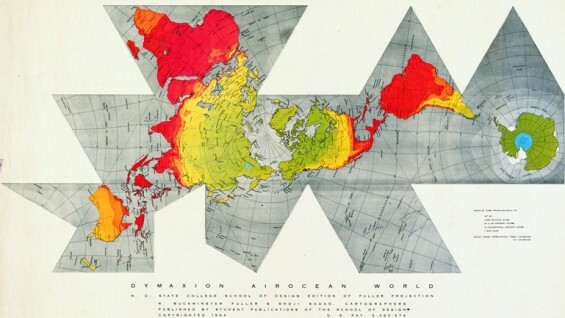 The exhibit will feature mounted prints of all 11 finalists from the DYMAX REDUX contest, whose submissions offer a variety of beautifully original, informative and radical projections onto the Dymaxion world map. By using map as canvas these finalists explore a range of topics including deforestation, climate and atmospheric conditions, historic events, migration routes, water use, gun violence, urbanization, time zones and even lunar topography. Also exhibited will be a selection of Fuller's own maps to provide background and context for the project.